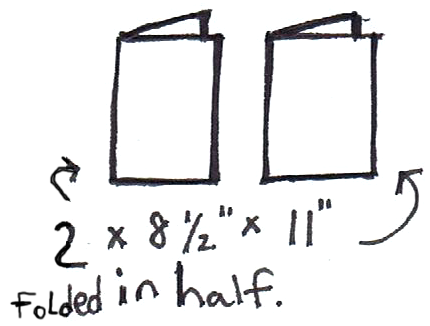 Take 2 normal sized pieces of paper and fold them in half length-wise, as you see above. 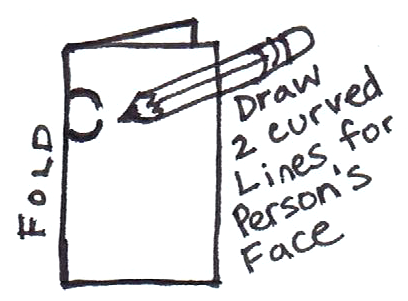 Draw 2 curved lines … this will be the girl’s face. 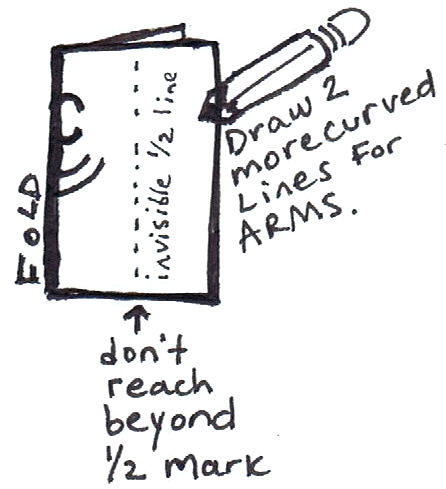 Draw 2 more upwards curved lines along the fold. 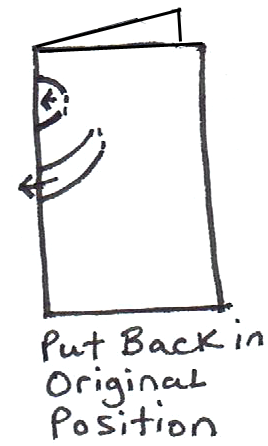 Don’t draw them beyond the half-way mark (seen above). 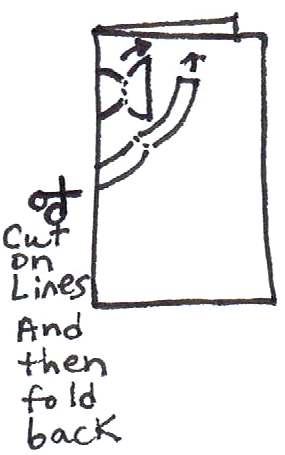 Cut on the lines that you just drew and then fold them back, as pictured above. Now just put them back in the original position as if you didn’t even cut them. And you are done…just kidding. 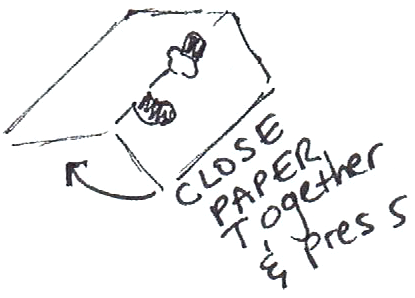 Now open the paper as if it is a tent and push the cut segments through to the other side of the paper, as pictured above. Now close paper together and press. 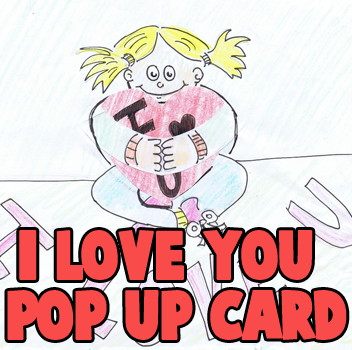 Now open up the card to see the pop-up head and arms …. it should look like the picture above. 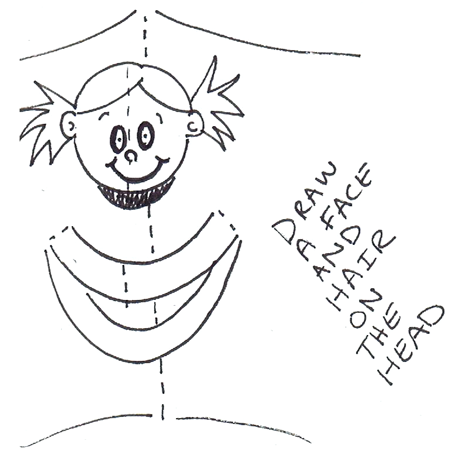 Draw a face and hair on the head. You don’t have to draw a girl…you can draw a boy, if you want to. 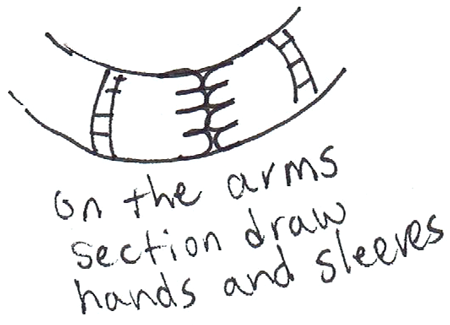 Now draw arms and hands on the curved-‘u’ looking section. 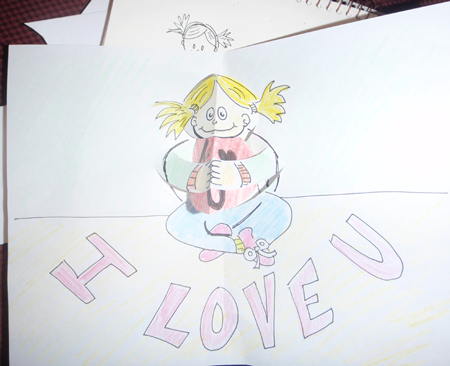 Just draw 2 curvy letter ‘m’ shapes for fingers. 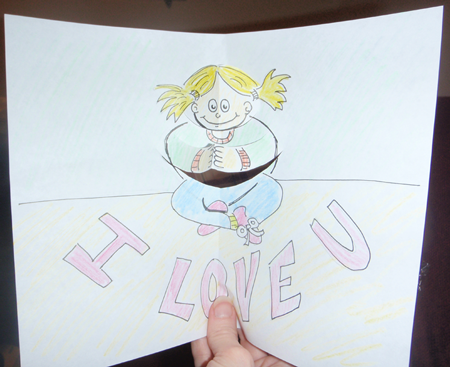 Now we have to make a heart for the girl to hold in her arms. So get a piece of paper and fold it in half. 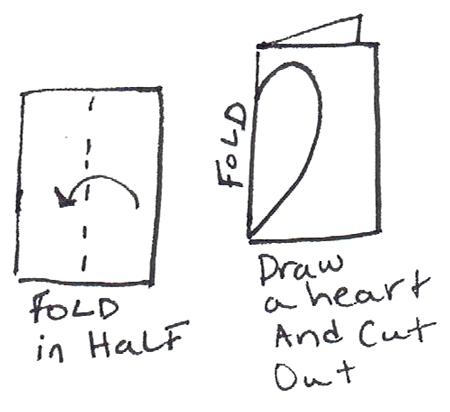 Then draw half of a heart on the fold and cut it out. 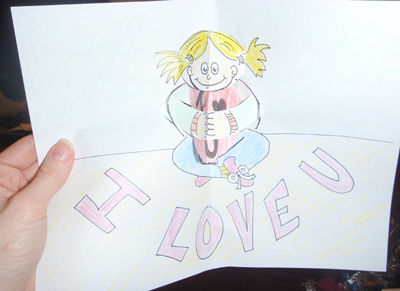 Write a message on the heart…such as ‘Happy Valentine’s Day’ or ‘I Love You’ or ‘Be Mine’. 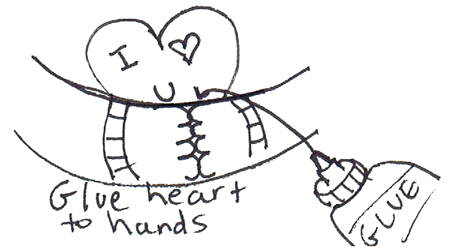 Now glue the heart inside of the hands. 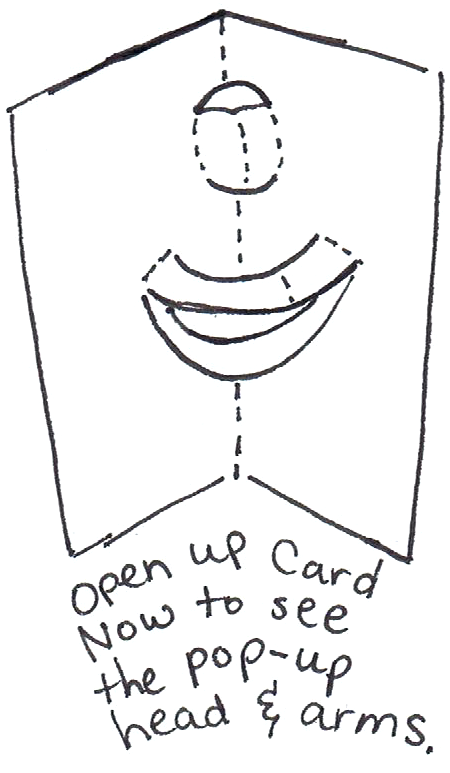 This is what the card looks like closed. After the glue dries…it should look like the pictures below. 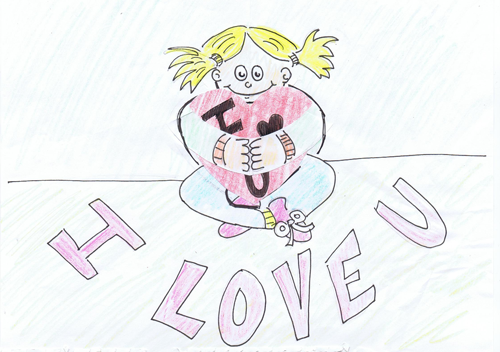 Here is what it should look like with the heart in the girl’s arms. And another picture. I hope that yours turned out great too!